Austin is not a normal city, so Hostel 512 can't be a normal hostel. Created with the traveler in mind, you will find as much outdoor accommodation as you will indoor comfort. Conveniently located in trending East Austin, less than two miles from Downtown, and just a short ride to the Airport. No reason to go far, as you will be in walking distance of world class food and night life. Hostel 512 is all about community and we do our best to be apart of your Austin experience. Our staff will go above and beyond to help you kick back and relax or find just the excitement you are looking for. However you are traveling, we have the arrangements for you. This is not just a house to sleep in, it's a new way of travel with fun, comfort, and style. Hostel 512 has the accommodations to fit your traveling needs. We offer the traditional dorm style living to a private getaway for one. If there is something that you are looking for and don't see it, let us know and we will do what we can to make it happen. Everyone staying at Hostel 512 can take advantage of our private outside amenities, the multiple relaxation areas, along with our communal kitchen with everything you need built in. Dormitory style rooms sleep 4, 6, or 8 people depending on the room option . Some dorm rooms are equiped with a private bathroom while all have access to the coed washroom and kitchen area, along with all amenities on the hostel grounds. Rooms are furnished with over sized bunk beds and sleep up to 4 guests. These rooms have a private attached bathroom and extra included comforts. This option is ideal for small groups traveling together or those that want a little extra privacy. We are travelers, and built Hostel 512 with travelers in mind. Austin has a lot to offer, but if you just want to relax in a chair swing and enjoy the community for a day, we have that for you. With just the right mixture of fun and the ability to find a place to retreat and relax, we want to make your time in Austin just what you need. We have gated outdoor fun with built in games to play so you can take advantage of our sunny warm days. It doesn't matter if you are traveling alone or in a group, you will find our community lifestyle open and inviting. We have oversized beds with solid frames to make sure you have a comfortable place to sleep. 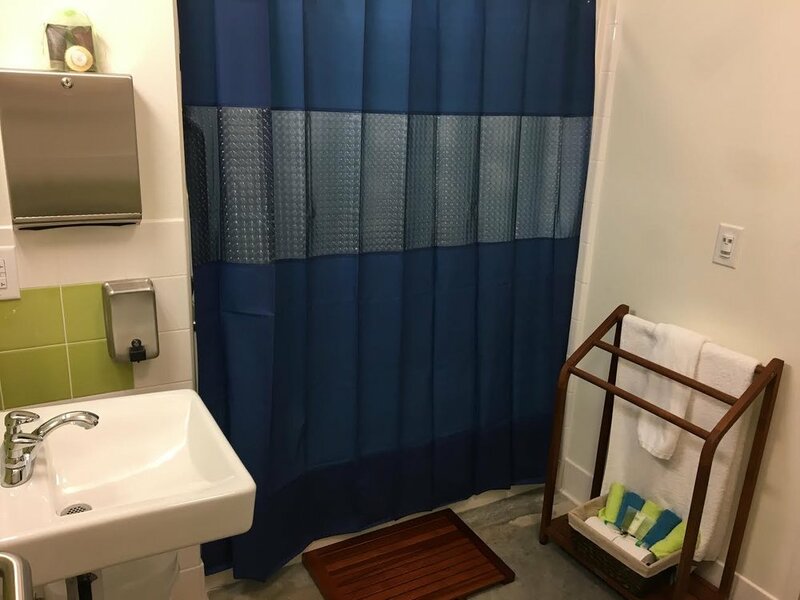 You will have complete privacy in our oversized washroom because nothing is worse than being cramped when showering or getting ready for a day or night in Austin. We don't want to stay in a dirty place and understand that you don't want to either, so we make sure to have Hostel 512 clean everyday. You deserve comfort when you travel, you deserve Hostel 512. Do you have a unique request? Wondering if we can accommodate a special event? Need extra information? Send us an email and we will get back to you as soon as we have the information you need! Austin, Texas is the "Live Music Capital of the World" and has something for everyone. Named one of the safest cities in the United States, it is a cross section of time, culture, fun, and entertainment. There are amazing things to do and experience in Austin and Hostel 512 is excited to introduce you to our city. SXSW, ACL, F1, and so much more. Austin has something going on all year. Click below for more information. 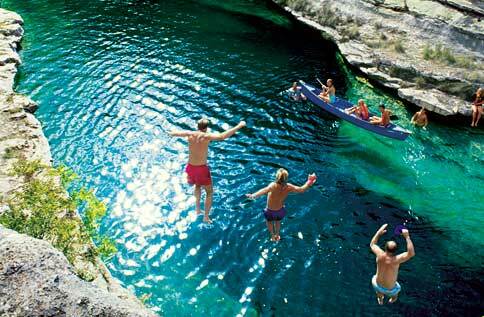 Austin is an outdoor paradise. Secluded natural springs to swim or miles of hiking, biking, and climbing in the greenbelt will keep you finding more to explore. Click below for more information.